How do you become a bestselling author? Is it possible to build connections with readers so deep that your readers start to spread the word about your writing for you? In this interview, Amazon bestselling author and publishing veteran Diane Capri and I talk about the surprisingly generous way to become a bestselling author. 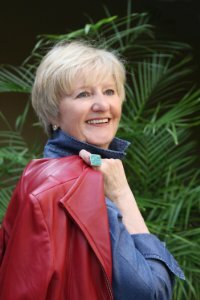 As both a traditional and independently published author, Diane brings a clear perspective to the purpose of marketing: It’s all about readers. Always has been. Always will be. Hi everyone. This is Joe Bunting, and I’m here with bestselling author Diane Capri. Diane is the author of seven novels and four short stories. She has reached the number one spot on Amazon’s best seller list in in several categories (UPDATE: Diane Capri is now a USA Today Bestseller!). Best selling author, Lee Child, called her books full of thrills, intention, but smart and humor, and human too. Diane, thank you so much for talking with us today. It’s a pleasure to be here, Joe. Thanks for asking me. So how did you first get into writing thrillers? I’ve been doing this a long time, and I write what I like the best. I read everything, I read all the time, but I really love a story with a great plot and great characters and a well written prose. For me, that’s most often mystery, thriller,or suspense. So you’ve been writing and publishing books for a long time. How has the internet changed the way you connect with readers? Well, from my point of view, Joe, it’s just made my life a lot easier. It’s so much easier to connect with more people than it used to be. We talked a little bit about this before we got started. When I was traditionally published I was always meeting with readers but I would have to go to them, so I would have to buy a plane ticket or I would have to drive or something like that and meet people in various places. Now I can do that from my computer, and I can reach people all over the globe that way. I was telling you before we began that since I started selling my books online, I’ve had readers contact me from far away places like New Zealand, and Orkney, and Brazil, and North Canada, Hawaii. You know I’m in Florida, but I haven’t had to fly anywhere! That’s mainly what I do, and to me it’s the same as appearing in a group and talking to people or going to libraries or going to book signings and things like that. I just try to connect with real people and have real conversations any way that I can. Do you still do those books signings and those kind of book tours anymore? I d0, but I don’t do as many as I used to. For one thing I don’t have um there’s not as much of a need for me to do that because I can reach more people online. Also readers in general can connect with us more easily online now and they like that better too. They don’t have to get out in the bad weather and come somewhere late at night and that kind of stuff. For the most part it works better for both readers and writers to, to do the online stuff more than the other stuff. How do you deal with the negative feedback that comes online? You know that my point of view is that readers are number one, and so if I get negative feedback from a reader, first of all I’m appreciative. I’m glad that they’ve told me.There’s an old marketing adage that says that if someone is unhappy they won’t tell you. They’ll tell 17 other people. That’s mostly true. I would rather that they tell me directly so that I can deal with the issue, whatever it is. Sometimes its a misunderstanding, sometimes it’s a difference of opinion, but it’s good to hear it. Then when they tell me I try to deal with it in a positive way. If they are angry about something, which is seldom, then I apologize for whatever it is that I did that made them angry and then we go on from there. This is a free preview lesson from the Story Cartel Course, an eight-week online course to help you build an author platform, publish your book, and learn how to be a writer in the 21st century. To learn more and join the class, click here.